When he was 18, a very bright young English boy named John Roy Robert Searl, who had an interest in electronics, was attempting to design a new type of generator. As the story is told, he built a device made of several metal plates and magnets that appears to explain how UFOs can fly. Searl experimented with rotating slip rings. He noticed that when the rings were spinning freely his hair bristled. Using a conventional meter he discovered that the spinning rings produced a small EMF. Concluding that free electrons in the metal were being created by centrifugal force produced by a static field in the metal, Searl tried to design a generator based upon his discovery. By 1952 Searl’s first “generator” was ready for testing. It was a flat, round shaped device that measured about three feet in diameter. Searl and a friend took it into an open field for the test. The armature was set in motion by a small engine and the device produced electrical energy, just what was expected. What was unexpected was what happened next. Old newspaper clippings say that the metal plates continued to spin faster and faster, and then lifted off the ground, rising to a height of about fifty feet and breaking the union it had with the engine. It hung there for a while, still spinning. A pink halo was noticed, indicating ionization was occurring in a field surrounding the device. As the story is told, the device caused local radio receivers to switch on before it began rising higher and higher into the sky. Eventually the spinning plate disappeared. Some thought it went off into space since it was never seen again. Searl became fascinated by his invention, which he called a levity disk. He made more of them. His goal was to find a way to control the disk so that once it took flight he could bring it back to Earth. One account said it took about 40 tries before he found a way to control his invention. Some of his spinning disks measured from 12 to 30 feet in diameter. 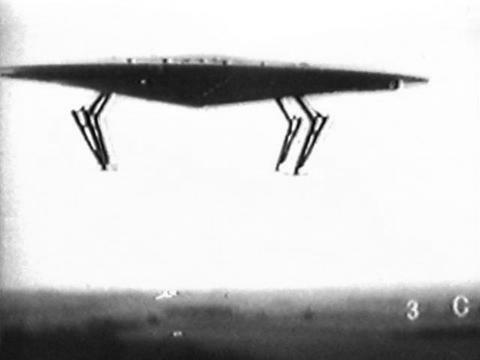 An anonymous writer for the website Conspiracy Shack, stated that “what Mr. Searl had invented as an ether-vortex-turbine generator and he had in fact developed a saucer shaped commercial aircraft. Searl’s work has been accepted in the scientific world as the “Searl Effect,” but his disk appeared for a while to have been considered nothing more than a novelty since it seems to defy the established known laws of physics. In 1987 a person named Luis Jarillo allegedly got involved in Searl's invention. He persuaded Searl to come out of retirement and set up shop in London. By the following year Searl Magnetics, Inc. was established in Thailand, with links in England and the United States. One of the many websites posted by Searl Magnetics lists an elderly John Searl as the company CEO. Details about this company, and what has happened since have been vague. The company promotional websites are dated up until 2007 with nothing new added since. There is evidence that some kind of trouble developed when partners "stole" Searl's idea and attempted to set up their own company. Various web writers have attempted to get to the bottom of the Searl story. They found so many dead ends that they cried "hoax." Indeed, researching this man's story and just what it was that he invented appears about as difficult today as it probably was back when Tesla was turning the world upside down in the late 1800's. The last bright glimpse we found of Searl was in April, 2010 when he was a guest on Coast to Coast nightly radio to plug his generator. Jeane Manning, who wrote about Searl's radio appearance, said he spoke of "his life story -- of overcoming obstacles beyond the imagination of most people -- and his endearing sincerity and acceptance are unforgettable. And the technology that he's been inspired to build seems like science fiction but it's not. Newspaper reports document his flying disks." Searl is presently writing on a website titled The Searl Solution. There one can find volumes of Searl's personal reports on his attempts to still get his project manufactured and given some purpose. The site is laced with "updates;" including a recent and steaming attack on someone named Flowerbower who has apparently done some new thing to block the success of Searl's work. In this update Searl wrote: "Throughout time records of accomplishment show great men being ridiculed because they were extending the boundaries of knowledge, which we accept today. But then we refuse to accept such statements as reality. Thus Newton and others were listed as nutcases. In reality are those who did the ridicule who were the idiots of the time." Thus we are left with the question: "Did Searl really invent something that might really change the world or has it all been an elaborate hoax? Have his efforts to raise the money needed to build a Searl Generator and demonstrate it to the world been stymied by con men looking for a quick dollar at the expense of a poor inventor? In our contemporary days of an economic and energy crisis, we might wonder why some major investor hasn’t dusted off Searl’s research and taken a hard look at his discovery. At the time of this writing Searl appears to still be very much alive. He might offer important new insights in the quest for alternative energy sources and green technology. There is, of course, the possibility that the Searl story is nothing more than an elaborate hoax, and that his amazing spinning disk never existed in the first place.